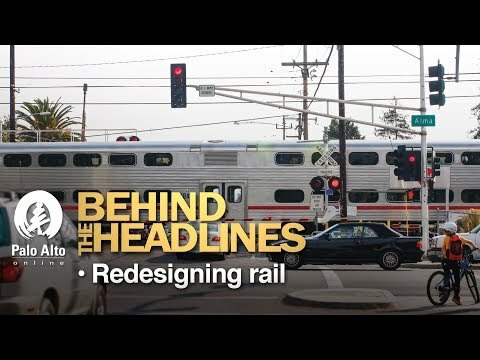 On this week's "Behind the Headlines," Former Palo Alto Mayor Pat Burt joins Palo Alto Weekly Editor Jocelyn Dong, reporter Gennady Sheyner and assistant editor Linda Taaffe to discuss the city's latest plans for separating railroad tracks from local streets. Watch the webcast here. Listening to this lively discussion of at grade rail crossing reminds me of this quote about participatory democracy attributed to Thomas Jefferson : "Difference of opinion leads to enquiry,enquiry to truth; and I am sure we both value too much the freedom of opinion sanctioned by our Constitution, not to cherish it's exercise even where in opposition to ourselves." As the former mayor says the value in the CSS process is in bringing together community members with opposing views and agendas to problem solve and build consensus.